With the tightening up of speed limit in many countries, it's clear that commercial competition of years to come will have to shift both on low fuel consumption and the offer of comfort and services.Megagamma is a realistic and immediately technically producible prototype. Even though the platform and the mechanics are the same of the Lancia Gamma 2500, style is not connected to the brand just because it has to be a general and not circumscribed proposal. Ergonomic recall is for the cars of the beginning of the century where you could "seat on board". The floor is flat, flashed to the door cut, the room obtained between the platform and the floor contains the tank and the spare wheel, leaving more room for internal compartment. 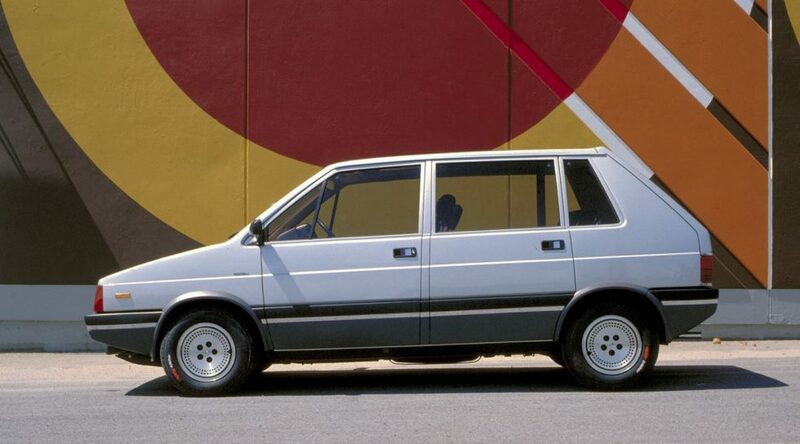 The Megagamma is 247 mm taller and 290 shorter than Lancia Gamma, and the internal compartment is increased of 170 mm. The comfort is granted by rich internal trimmings with technological and innovative solutions. Renault Espace will be presented only in 1984.